Super Bowl LII has arrived, and even though the Omaha area doesn’t have a real rooting interest — OK, fine, rooting for the Tom Brady & the Patriots to lose 🙂 – that doesn’t mean you can’t get together with a bunch of friends and enjoy the game. Especially if drinks and chicken wings are involved. 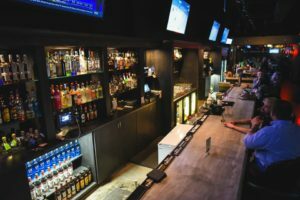 While anecdotal evidence indicates most people flock together to watch the game at someone’s house, there are plenty of options in the area for anybody looking to catch the Patriots and Eagles in a bar atmosphere. 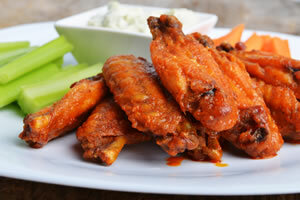 We are offering a POUND of wings for only $6, and $14 buckets. Dine in ONLY! Join us this Sunday to watch the super bowl! Will be providing FREE food and one raffle ticket winner will get HALF OFF THEIR TAB, a FREE bottle of Deep Eddy Vodka and a case of bud light aluminum bottles. Doors open at 4pm! expect from a local restaurant and the quality that comes with years of experience. We invite you to visit with your family or friends and experience the difference that a local owner can offer. We know our city, and our customers are also our neighbors.